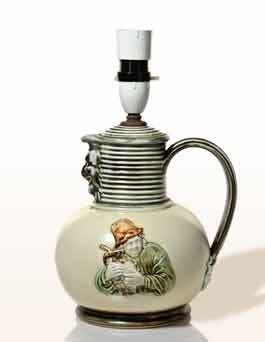 Denby Tally Ho lamp - 10⅝" (269 mm) high. c. 1948. The height includes the lamp fittling.